As Öz Erciyes, we have changed a lot since 2005 thanks to our innovative approach in the Halal product market. Thanks to the scientific methods and traditional recipes we use in the process ranging from the production process to the shelves, our products take their place in the European market. Thanks to our reliable service network, you can find our products in 7 countries, mainly Holland and Belgium. Among these countries, we are one of the most sought-after brands in the Netherlands. It is possible to reach our products in England and Benelux countries. Contact us to place our products at your local market. 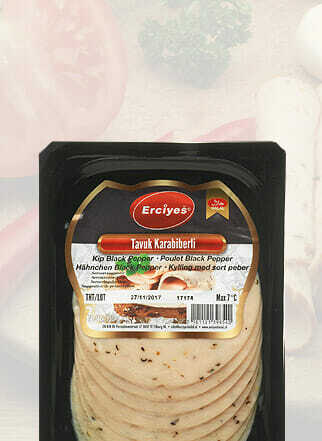 Our branded products are packed under the name of Erciyes, Ercimex and Tevhid brands. 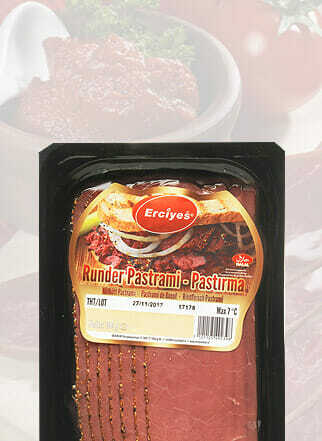 In our product range, we especially recommend you to visit the meat product line. With our competitive prices, we offer the best products for our valued customers in the right conditions. You can contact us to meet honest content, good quality and Halal product.